LONDON (AP) — Demand for baby milk formula is surging in Britain, but it seems likely the powder is going to babies thousands of miles away. 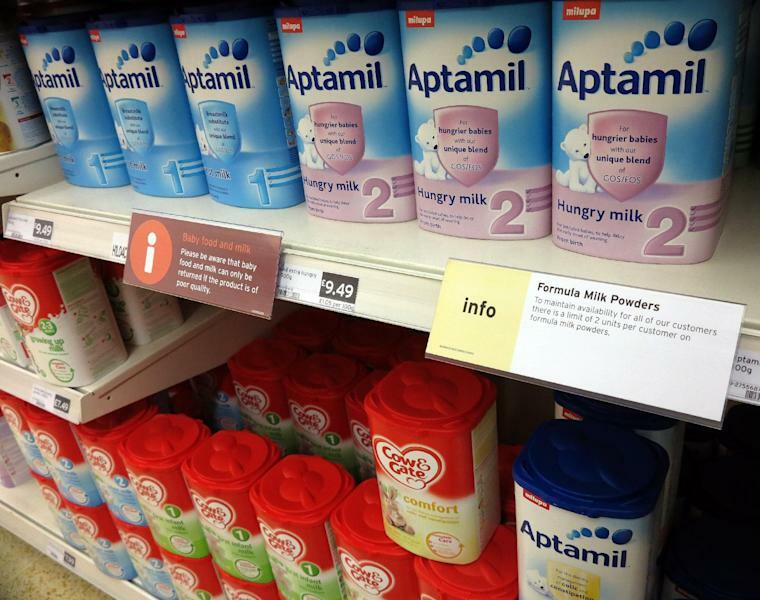 British retailers said Wednesday they are limiting purchases of baby milk powder to two tins per customer after noticing some people were buying unusually large quantities in stores, apparently to export to China for profit. Danone, the dairy manufacturer, said it has significantly increased production of powdered baby milk in response to the bulk-buying trend. "We understand that the increased demand is a result of unofficial exports to China to satisfy the needs of Chinese parents who want international brands for their babies," Danone, which makes Aptamil and Cow & Gate baby formulas, said in a statement. Baby formula made by foreign brands is in great demand in China, where parents have been wary of local dairy products since a contaminated milk scandal left six babies dead in 2008. Chinese leaders have vowed to prevent anything like that melamine-laced milk formula from surfacing again, but the country's dairy industry is still plagued by quality lapses. Many enterprising merchants have gone over the border to Hong Kong to buy milk powder for resale, and authorities have arrested people who tried to smuggle more than the allowed amount of formula into mainland China. 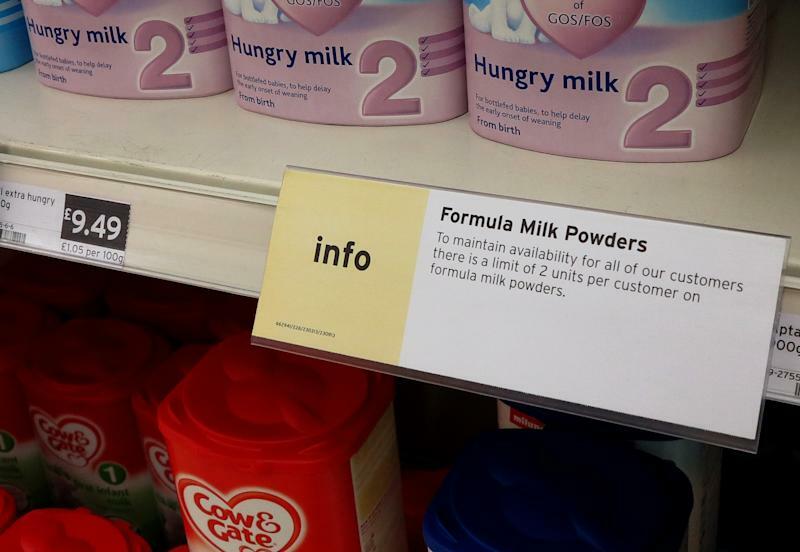 In Britain, leading supermarket chains Tesco and Sainsbury's said their stores have put up signs limiting customers to buying no more than two tins of milk powder in each transaction, to ensure there is enough stock for everyone wanting baby milk. The British Retail Consortium said other retailers are imposing similar limits. Richard Dodd, a spokesman for the trade association, said that stores and manufacturers across the country have been watching the trend for several months, and individual stores have been imposing their own rations for some weeks now. Danone, which sells Irish-made baby formula in the U.K., said it does not export these products elsewhere. It does, however, sell some of its other dairy brands in China, and the company is increasing those supplies as well to meet demand there.